The religious transformations that marked late antiquity represent an enigma that has challenged some of the West’s greatest thinkers. But, according to Guy Stroumsa, the oppositions between paganism and Christianity that characterize prevailing theories have endured for too long. Instead of describing this epochal change as an evolution within the Greco-Roman world from polytheism to monotheism, he argues that the cause for this shift can be found not so much around the Mediterranean as in the Near East. The End of Sacrifice points to the role of Judaism, particularly its inventions of new religious life following the destruction of the Second Temple in 70 CE. The end of animal sacrifice gave rise to new forms of worship, with a concern for personal salvation, scriptural study, rituals like praying and fasting, and the rise of religious communities and monasticism. It is what Christianity learned from Judaism about texts, death, and, above all, sacrifice that allowed it to supersede Greco-Roman religions and, Stroumsa argues, transform religion itself. 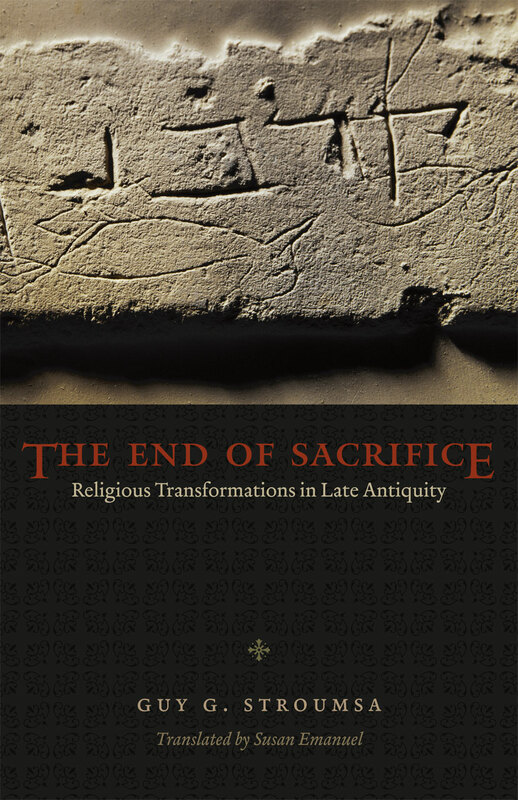 A concise and original approach to a much-studied moment in religious history, The End of Sacrifice will be heralded by all scholars of late antiquity. "I have not read a book on classics that packs so much into so little space since Walter Burkert’s Orientalizing Revolution." "This is a wise book and an excellent gateway into the study of Christian origins and comparative religion. And it is a work that helps us to better understand the religious transformations going on in the world today."